Pro Boxing Fans Reporter, Paul Mason, Looks back at the action from the Joshua vs Povetkin card at Wembley this Saturday night. Anthony Joshua with a brutal 7 Round KO against Alexander Povetkin at Wembley. Anthony Joshua retained his WBA (Super), IBF, WBO and IBO Heavyweight Titles at Wembley Stadium with a seventh round stoppage victory over former WBA Champion, Alexander Povetkin. Povetkin seemed to stumble Joshua right at the end of the first frame with a powerful left hook, in a round Joshua was otherwise in control of. Joshua’s nose was also bloodied, causing him initial trouble in the next round. 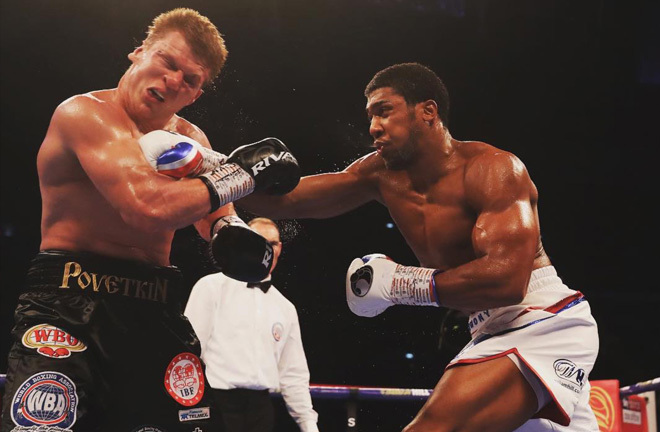 Povetkin was spirited throughout, and always in the contest, but Joshua was boxing well at range, and making it more and more difficult for Povetkin to find successes, resorting to throwing from the hip in the sixth. The tide turned massively in the seventh, when “AJ” landed with a monster left followed by a right to put the Russian down. Somehow Povetkin beat the count, despite nearly falling out of the ring in the process. A follow up attack saw Povetkin’s corner rush in to stop the fight, but referee Steve Gray had already called a halt to proceedings. Joshua now will surely target the winner of the WBC Heavyweight Title fight in December between Champion Deontay Wilder and Tyson Fury. 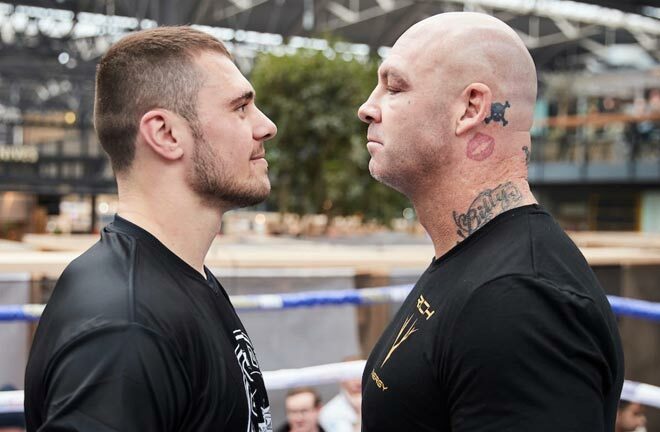 Speaking to Sky Sports’ Andy Scott post fight, Joshua praised Povetkin’s efforts and threw the decision on his next opponent for April 2019 to the fans. Assuming no mandatory challengers are raised by the different governing bodies, we would hope that an undisputed Heavyweight Champion can be crowned next year. 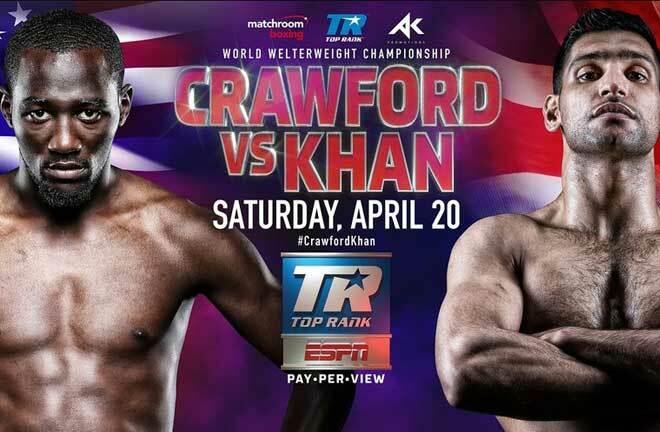 The undercard turned out to be a tepid affair. Luke Campbell boxed well to orders under new trainer Shane McGuigan to gain revenge for his 2015 split decision loss against Frenchman Yvan Mendy. “Cool Hand” didn’t let Mendy settle into the same rhythm as before and boxed to a good game plan, and kept his opponent at a good arms length to comfortably have his hand raised. 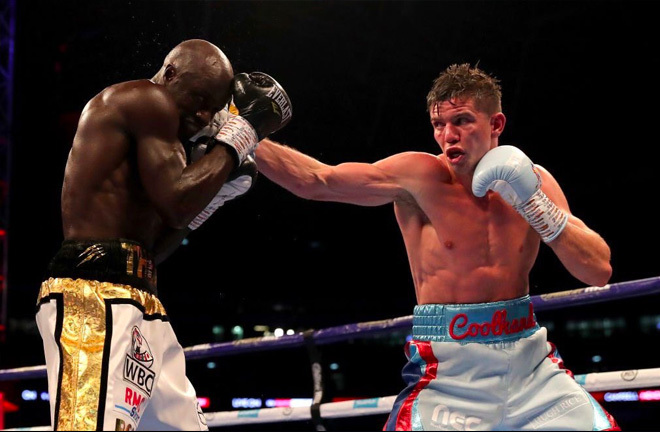 Luke Campbell controlled the fight against Mendy from start to finish. 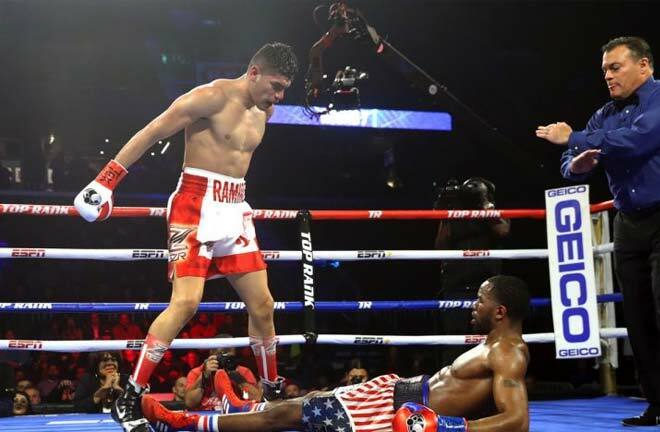 The Hull man came through 119-109, 118-111 and 116-112 on the cards to become the mandatory challenger for the WBC Lightweight Title, which is expected to be vacant as Mikey Garcia is rumoured to be close to meeting IBF Welterweight Champion Errol Spence Junior in the near future. Laurence Okolie captured the British Cruiserweight Title against Champion Matty Askin in a fight that falls firmly under the better best forgotten category. In an ugly fight, Okolie was deducted points on three separate occasions. Once for reckless use of the head, and twice for excessive holding. 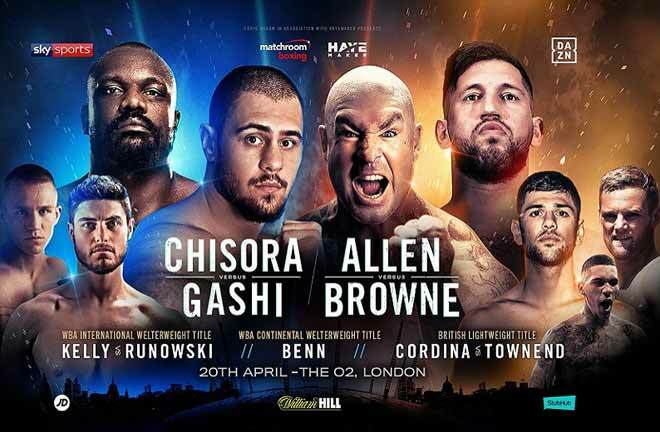 Askin was unable to work effectively, but on another night, Londoner Okolie could well have been thrown out of the contest. He did enough to unanimously come through on the cards by scores of 116-110, 114-112 and 114-113. Disappointingly, David Price retired on his stool from his fight against Sergey Kuzmin at the end of the fourth round, citing an injured bicep, which Price advised post fight, was a hindrance in the build up to the contest. 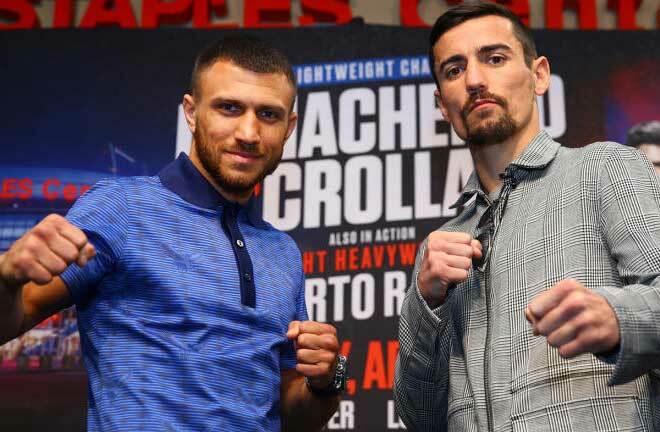 Price boxed well in the action that took place, but his career now lies in tatters, with a rematch surely the only route back for the likeable Liverpudlian.